My first MZ read….and what a cracker it was. I really didn’t expect to love it as much as I did. Its got great day to day scenes that really let me get to know the characters, not just Diana and Dallas but the two little boys and the rest of her family, his cousin ( I think it was cousin, I’m writing this about 4 weeks after reading it) and family, so many interesting characters. The plot is solid, full of interest, dilemmas, fun bits of humour, sadness when the kids are having issues, and of course the growing relationship between Dallas and Diana, which doesn’t really start off well. Its a lovely looonng book too, and its great to find an author who doesn’t try yo cram everything into 200 pages or less. I looked at one story on KU yesterday and it was 26 pages…that’s not a book but a short story, and there are even ones shorter than that masquerading as books! Stars: five, a fabulous read, and its on KU, as are a couple of others from MZ. I’ve just borrowed Under Locke, which is on KU and downloaded the sample of Rhythm, Chord & Malykhin, which isn’t on KU but appeals to me. I love the Driven series, have re-read those and they are definitely in my keepers files, but its good too when an author moves into a new area, out of the “comfort zone” into a fresh venue. I was pleased to see this one and I bought it. Yep, paid real money! 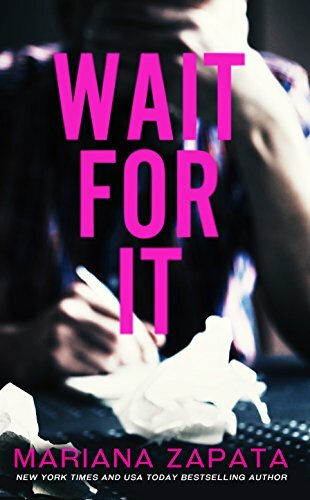 Between review novels and my KU subs a book has to have a pretty good suggestion that its one for me before I’ll buy it, and with so many authors raising prices its great to see an established author keeping them affordable. This is still just £2.99 and as its one I’ll reread that’s great value. As always with KB’s books I love the characters, they feel so real, and of course the settings are perfect. From Saylor’s shop to the extravagant wedding venue I could visualise them easily. .
She’s a great girl, works hard, and is trying to build up her business. Then she gets That invite, the one to the wedding, which oddly enough mirrors exactly what she had planned when she was the bride….weird or what?? Then Hayes, film star extraordinaire, comes into the story. He and Saylor have a past, though its been years since they met, after he broke her heart when he left. The banter between these two is perfect, the wedding scenes so real, and full of snark, and the hashtag parts I loved. Its got so much I love in a story here, great characters, solid plots, humour, snark, and lots of drama and sad parts. Stars: five, a fabulous read, from a favourite author that kept me engrossed for hours and will join the keepers.